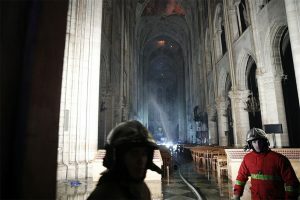 The extent of the disaster in the Notre Dame of Paris by the fire that broke out on Monday afternoon is terrifying. 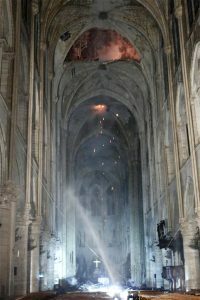 The roof of the building is completely destroyed and it was the self-sacrifice of the fire-fighters that saved valuable works of art with a human chain carrying works of art outside. 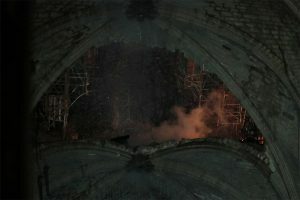 The fire was put under control after 8,5 hours. 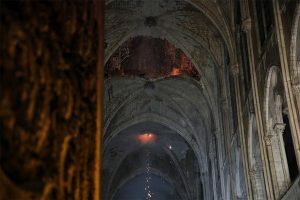 Many people and organizations have already started raising money for the reconstruction of the church. 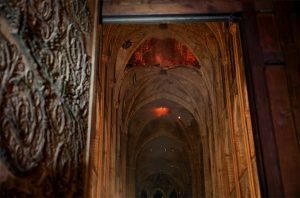 The French tycoon Pinot, owner of the Gucci and YSL gave 100 million Euros already. 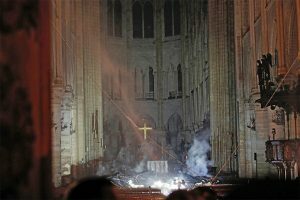 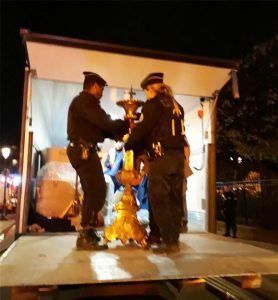 The first photos capture the magnitude of the damage in the Cathedral, the symbol of France, although it is by no means insignificant the fact that the building as a whole was rescued, as well as the historic heirlooms that were being kept in its premises.